We are located in the heart of Delhi, surrounded by lush green gardens, fine dining restaurants, business hubs and high street shops. Our external environment and internal ambiance is a perfect balance of work and fun. Come and feel free to mingle with like-minded people, entrepreneurs & startups. You can also attend our events to network or unwind from a hard day's work. We not only provide you with premium workspaces, we empower you to be part of a community that believes in collaborating and revolutionizing work, by bringing together millions of innovators under one roof. No. 3, 20 Main Rd, 7th Block, Koramangala industrial layout, (Opposite to State bank of India ) Koramangala, Bangalore 560095. Flanged by Social on right, Starbucks on left, Forum Mall and numerous eateries, we are the address of choice for young and energetic folks in Bangalore. People who want to make a dent in the world choose Innov8 as their preferred working space. All this in one of the most happening place in Bangalore where you can have the pool, foosball table, table tennis arena or any other breakout zones to be yourself when you don't want to work. Our Mumbai coworking space or shared office centre is located in one of the most sought-after corporate business complexes at Andheri East i.e The Boston House. It's a prime location structured right beside The Western Express Metro; close to Chhatrapati Shivaji International Airport and Mumbai Suburban Railway. Likes of Flipkart and ABP News are also present in the same corporate complex. We have created a coworking workspace where you can rent out and boost up your team. Come and Join Us at Innov8 Mumbai. Innov8’s Noida centre is conveniently located right beside the Noida Expressway and Noida Sec-18 Metro Station for ease of access and increased reachability. Our centre helps you explore various possibilities with our community driven space which houses great coworkers. Our centre is an aesthetically designed workspace with ergonomic furniture for comfort and numerous events for networking. So! Join Us at Innov8 Noida to revolutionize work. Innov8’s Gurugram Centre is arguably located in India’s most famous corporate business complex spread across 12 Million sq. ft. With a strategic location along the National Highway 8, state of art facilities and a premium structure, our Gurugram centre is a great place for people to work and create new innovations. So, Work and Have Fun! Innov8 Gurugram waits for you. One of the most sought after business address in the country i.e. 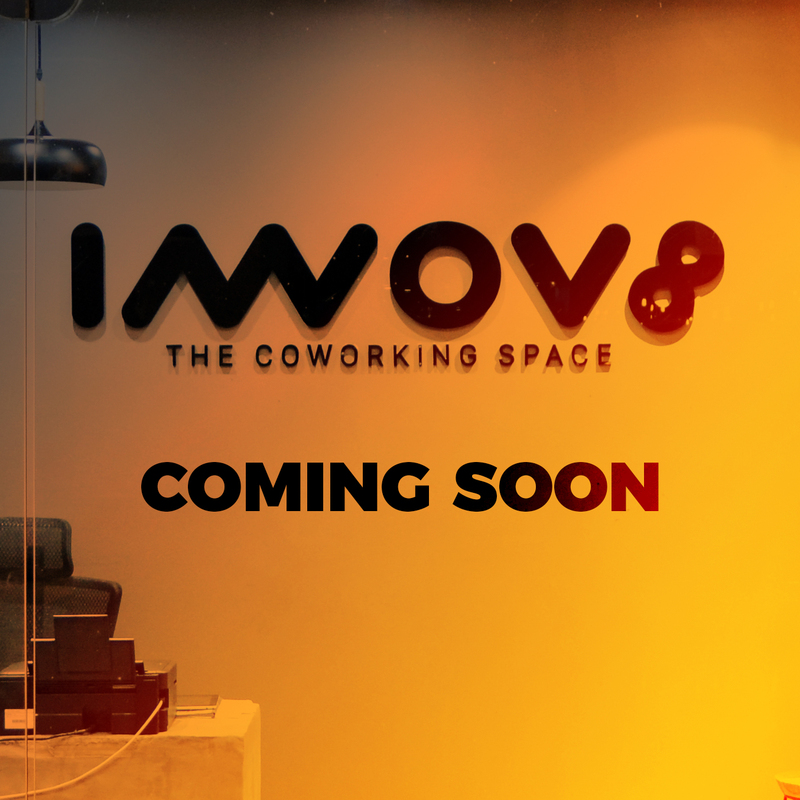 Cyber City, Gurgaon is home to Innov8’s newest coworking centre. With comfortable furniture, professional I.T. Services and comprehensive meeting facilities, our centre is a great place for people to work and create new masterpieces. Innov8 MIDC is an integrated commercial hub with multiple retail, hospitality and corporate offices. It’s located right beside the Jogeshwari Vikhroli Link Road and Airport Road Metro Station for ease of access and increased reachability. From St. John Baptist Church to Deval Talao, the area is an entertainment hub full of shopping, food and entertainment centers. One of the most sought premium address in the country i.e. Golf Course Road, Gurgaon is home to Innov8’s newest coworking centre. With comfortable furniture, professional I.T. Services and comprehensive meeting facilities, our centre is a great place for people to work and create new masterpieces. We believe in a three pronged approach to provide premium quality workspaces. Focus on your work and leave the hassle to us.